Honest and trustworthy everytime! They get the job done in a timely manner as well. A+ staff, took my 2011 335d for an oil change fluid check. Way cheaper than other Bmw places... I’ll be taking my car there from this point on. I take my BMW here and these guys are on point. Their work is quality and they charge a fair price. 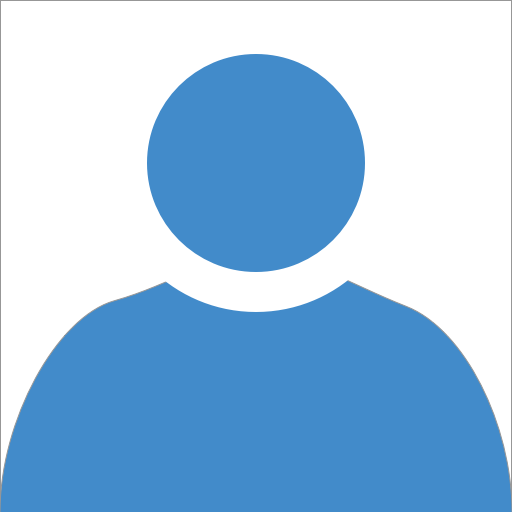 Super friendly staff, excellent service, very fair and reasonable pricing. The digital diagnosis report received right to my phone was amazing. I highly recommend these guys for all things BMW. These guys are the real deal: professional, straightforward, thorough and fast! Thanks, AZ Bimmer Motor Werks! I have used them since they first opened. They have never steered me wrong. Great service and fair prices. No where else nearby I would trust with my BMW than this place. Good first experience. First time owning a BMW and they provided a lot of good information and great service. Will definitely use for my next service requirement. Great prices. Great service. If you own a bmw give them a call. My regular scheduled service was 50% less than the local dealership. My service was done friendly, quickly, and in a very welcoming shop. I have a rare, 1998 BMW 750iL. The gentlemen at Az Bimmer Works are always professional and easy to work with. They charge fair rates and are honest about what’s broken and how to fix it. I’d recommend them to any BMW owner. They did an awesome job on my car! Will be using them in the future for any other mechanical issues. Will happily reccomend them to friends and family! Simply THE BEST! Hands down! No funny business here just an honest top notch service center! I will forever be a customer. Thank You James and all the Techs there as well. You guys are awesome man! Super friendly, honest and reasonable!! I brought my car in in the morning for my appointment and I got my car back at the end of the day!! Always a pleasure Pamela. Thank you! I got a pre-purchase inspection done on an E39 M5 and it saved me from buying a dumpster fire of a car. PPI summary was very professional with multiple pictures and everything organized well. Very competitive pricing and worth every penny! Thanks for letting us check that car out before you purchased. Hope you find what your looking for! Quick service, got me in next day, they're passionate and knowledgeable about our cars, high quality work, overall great experience, will use again. Thanks for the kind words Aaron. they were reasonably priced, honest, and quick. I highly recommend them. Would recommend 100 times! Told me the work my car needed then repaired what fit in my budget felt like they were honest, fair, and timely! Thanks for being so great to work with and cars working great!! James, the manager was awesome and patient with me highly recommended the shop! Reasonable price. Knowledgeable and polite. I will be back. Got me in on short notice and finished the work in a more than reasonable amount of time. Taken my car there several times and always had a positive experience. Best place to have my car serviced. I love the friendliness exhibited by everyone. The work is also top notch!!! Best BMW indy shop. They know their stuff, very professional. I never though i could have a pleasant experience fixing my car. James on the front desk will help you with all your questions and work with you through different options. Great service and people!! I would definitely use them again!! Professional, friendly, expert service at reasonable prices. They’re a far better option than the dealership. Excellent service and friendly mechanics. No complaints ever. Alternative to a stealership and much better work and expertise. Thank you Arizona Bimmer Motor Werks for helping my mom by fixing her car, she is so happy now! I was actually shocked you guys pulled it off, nicely done. I’ve been to Arizona Bimmer Werks twice now and I can safely say they are the most reputable and trustworthy automotive repair business I’ve ever seen. This crew of Bavarian Motor Wokers are very professional, highly skilled, and most importantly; have the advanced TOOLS to get the job done correctly! Taking your BMW to anyplace else will prove futile! Great place, great mechanics. Ohhhh, and good coffee! 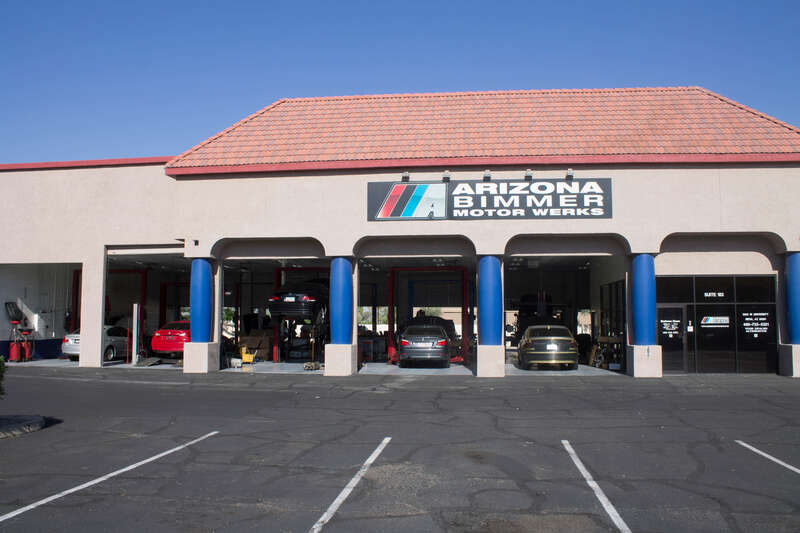 I just found this Arizona Bimmer Motor Werks shop yesterday through Google search for my 335is. James had taken care of my car fuel leak so well and quick with a fraction of the dealer shop would charge me today. Called for a quick fix, they squeezed me in same day, didn't over charge considering it was a less than an hour's work, professional, great lobby, very clean. Finally found my BMW shop in AZ after moving from CA. Your amazing. Honest and ethical. Always a good experience as the staff (James) is very helpful in helping you understand what is going on with your vehicle. Not only was the work done the way I had hoped, but the communication and photo documentation truly put them a step above anything I've experienced anywhere else. Yup! I just recommended you to a stranger who just bought a 2010 328i. He bought a75k mile warranty so it will be awhile. Been their customer since 2011, fast repair times and they know their Beemers... I had my rear brakes done today including disks, pads and sensors in less than 1 hour. Great guys to have in your corner if you have an older BMW like I do. Great service at great price! Trustworthy , Thorough . I highly recommend them for your BMW service. Worked with James 3x over the phone. Once I brought my M3 in, they did a great analysis of the car. Very easy to work with. I'll be back for any future maintenance needs! Quick, efficient and friendly service at a good value. They don’t try to load you up with additional repairs. Great and honest service. Our car needed several issues addressed and they helped with attention to those issues most needed first. I been taking my cars to Nick and Cody since they open their shop, they’re always friendly and professional with their job... I definitely will encourage you to take your BMW to them! Great guys. Won’t rip you off! Work done in a timely manner. James who mans the front desk is very efficient. Each time we’ve come for service, we’ve always been treated courteously and had any questions or concerns answered in a detailed and professional manner. Their prices are very competitive and seeing the dealer level service quality that’s delivered but without the usual dealer hassle, I’d almost call their pricing too low. So long as we own a BMW, this will be our shop.